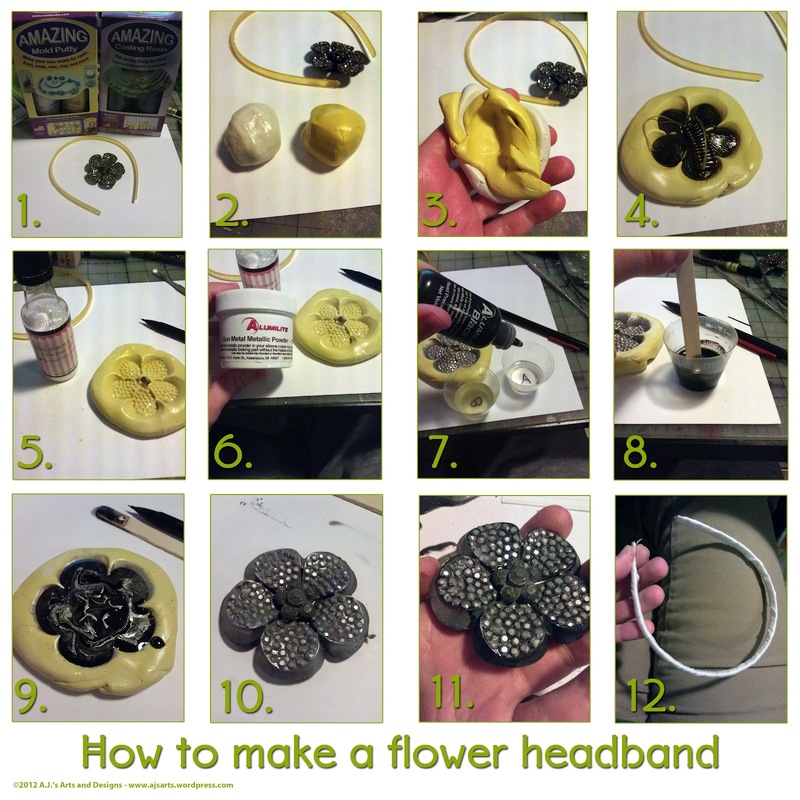 Amazing Crafting Products – Flower Headband | Who Are You Calling Crafty? I really wanted to make the Princess a headband from a found object we found on our walk. 2. Take equal parts A and B of Amazing Mold Putty. 5. Un-mold item. Brush glitter into mold. 7. Take Quick Cast measure equal parts A and B. Add one drop of dye to part A, mix throughly. 8. Add part A and B together. Mix throughly. 11. Paint piece – I used 3D Crystal Lacquer and Terri Sproul Mixers. 12. 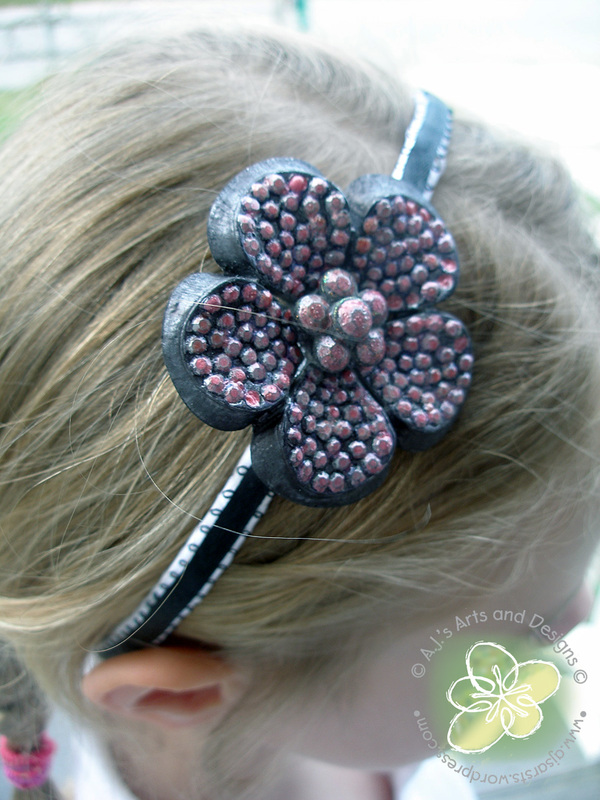 Wrap plastic headband with ribbon, secure end with hot glue. Hot glue flower to the headband.